The Honda Odyssey has long been the most popular minivan for individual buyers in America. Now a new fifth-generation Odyssey is launching, but it won’t be an easy path for Honda to retain its popularity in a segment with stronger competition and buyers moving in ever-increasing masses to crossovers and SUVs. After driving it for a week, I think it makes a compelling case for why the Honda van is still relevant, though, with a barrage of new features and updates. 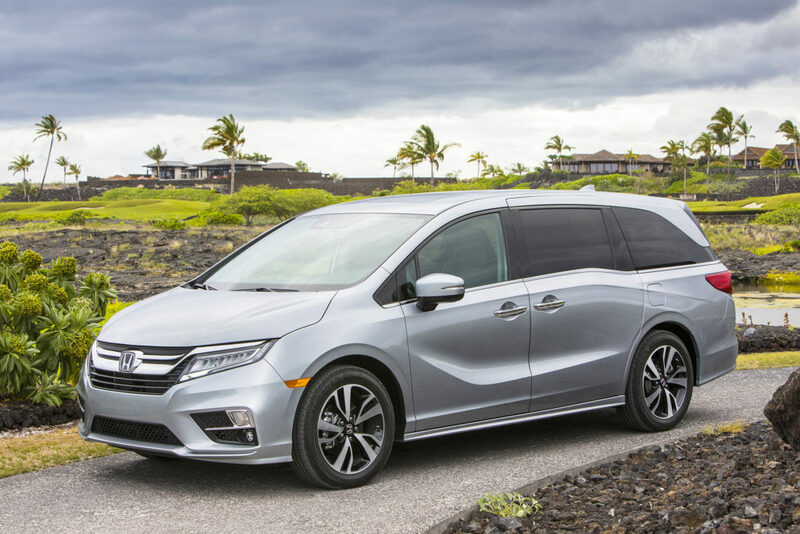 Honda’s minivan gets a fresh look that’s more sleek and sculpted than before, yet it’s still instantly recognizable as an Odyssey. This 2018 model is the introduction of a new generation of the van’s design. — CabinWatch: A camera mounted on the ceiling lets parents keep an eye on their kids through the 8-inch digital display in front. It shows both the second and third rows of seating and even works at night thanks to an infrared mode. — CabinTalk: Are the kids getting too noisy in back? Need to make sure everyone hears you? A microphone up front lets the driver act like a subway conductor and talk to passengers through the speakers. — CabinControl: Odyssey owners can download an app that lets them control the rear-seat entertainment system and climate control, plus send destinations to the navigation system through their smartphone. — 10-Speed Automatic: A new transmission feels nicely sorted, never hunting for gears, and helps the Odyssey achieve a fuel-economy rating of 28 mpg on the highway. Gas mileage remains one of the best reasons to choose a minivan over a full-size SUV, and this one makes it even better. — Social Playlist: Perfect for road trips when your passengers want to be DJs, this feature lets up to seven people upload songs to the van’s audio system from their smartphones. Honda calls it a “virtual jukebox” that lets people share their favorite songs for others to enjoy, which I imagine could be heavenly or awful depending on your passengers’ musical taste. Two of the Odyssey’s most compelling aspects, though, can’t be boiled down to bullet points. One is the way it drives. The Odyssey remains the best-driving van for people who like to feel a connection to the road, something in stark contrast to the more floaty feeling of the Toyota Sienna and Chrysler Pacifica. 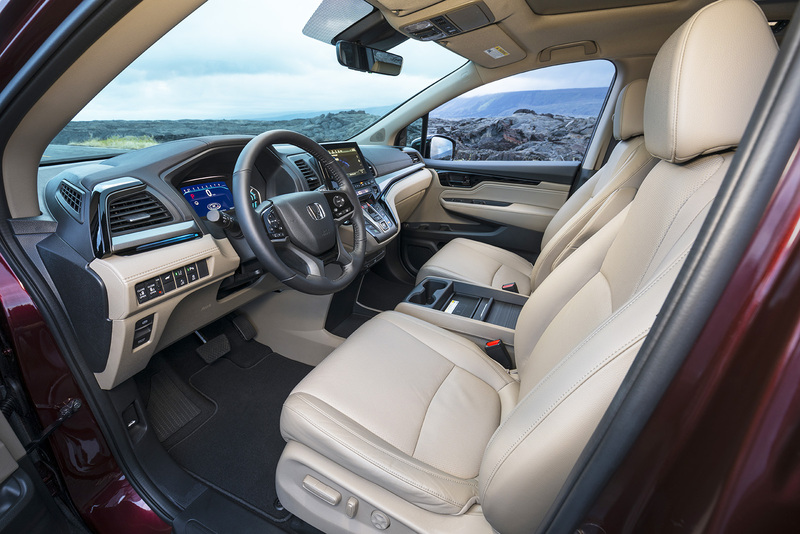 The new Odyssey’s cabin is quieter than the previous generation, with increased use of high-strength steel blends and soundproofing to cut down on road and wind noise. Personally, I prefer the Toyota and Chrysler products on the highway with their relaxing, supple, squishy suspensions, but I like the Honda much better in city driving. Its firmer suspension and better feedback through the steering wheel and brake pedal make me feel safer and more in control in traffic. Part of the Odyssey’s excellent road feel comes from a new trailing-arm rear suspension design. It improves handling and allows for more cargo space in back and — silly or not — 19-inch wheels on some top trims. Maybe the next generation can add 22-inch dubs. Secondly, the Odyssey’s top selling point has got to be its reputation for durability. Minivans typically take a beating from their Cheerios-munching passengers and constant, stop-and-go runs to soccer games and ballet practice. This one has earned a reputation a van that stands up to that kind of abuse, with a virtually unbreakable cabin and bulletproof drivetrain. That’s a big reason the Odyssey’s resale value is insanely high. If this new generation lives up to the standards of its forebears, it should provide years of relatively trouble-free use and high prices on used-car lots for years to come. Pricing starts at $29,990 for the base LX model and ranges up to $46,770 for the Elite level that’s trimmed out better than some luxury cars. It adds a laundry list of fun and useful features for a new generation of families. It enjoys a long-term reputation for durability and drives in a way that lets the driver feel connected to the road, a rare thing in minivans.